Your guide to the 2019 college D-III men's season. The 2019 season has already gotten off to an exciting start, bringing with it a multitude of teams and storylines for us to discuss. We’ve argued over top teams to watch, asked the questions that most bugged our reporting staff heading into the year, and sorted all of it into a one-stop shop. Is this finally the year that Air Force reaches the promised land of a national title? Does more connectivity than ever before mean a more exciting regular season and accurate set of rankings and bid allocation? Will any of it matter when we all melt in the Texas heat this May? We present to you the 2019 D-III College Men’s Season Primer. 2019 marks the end of a life cycle for a generation of #1 Air Force Afterburn players who in the space of three seasons made it to the semis and lost on double game point at their first Nationals, lost on point differential in pool play with their junior class away at a mandatory ball, and lost on double game point in the championship game last year. Air Force has had dynasty level potential the last three seasons but have never fulfilled it. For the exceptional freshman class of 2015 — headlined by the stellar trio of Alan Villanueva, Kainoa Chun-Moy, and Matthew Moshea — 2019 is a now or never moment to earn a title. Last spring, Bryant’s zone coupled with their athleticism acted as the perfect foil to Air Force’s athletic offense. While silver certainly looks nice, you have to wonder how many players on Air Force feel disappointed they didn’t come away with gold. Of all the top contenders for a title this season, Air Force has probably the most incentive to excel in College Station; with the loss of only three seniors, there’s no reason to imagine Air Force won’t be right back in the final, staring down the pipe at a very enticing gold medal. You can’t talk about this year’s Air Force team without starting with Villanueva. The two-time D-III Player of the Year runner-up got major reps on Johnny Bravo’s D line this past fall, playing all the way through Nationals; his ability to put a lot of touch on the disc and attack space with precision is coupled with a long, wiry frame that wreaks havoc on defense. And you can’t talk about Villanueva without also talking about 2018 Defensive Player of the Year Noa Chun-Moy. Chun-Moy rose up in the big games at Nationals when Air Force needed him to, particularly when they trailed Bowdoin 11-9 in the first game of the tournament and came back to win 12-11 on double game point. What role Chun-Moy plays for Air Force this year will be a story to follow. Will he continue to helm their D-line? Will he be crossed over at all to offense? With a player as athletic as Chun-Moy it may help. Rounding out a triumvirate of high-powered returners is Matthew Moshea, who was second at Nationals in goals last year and will be even more threatening this season. Villanueva, Chun-Moy, and Moshea perfectly illustrate why it’s a huge mistake to laud Air Force for their athleticism alone, but you cannot discount the value that Air Force’s conditioning will bring to the table in Austin. Of all the contenders at Nationals in May, they’ll have a certain advantage in being the team that has competed in conditions most alike to those that teams will face in Texas come May. And as with every season, Air Force will be playing some of the highest levels of competition any D-III squad will see this year with a trip to the Stanford Open. Air Force has every reason in the world to give everything they have and more no matter how difficult the opponent or how grueling the conditions. And when the Texas sun sets on the end of the season, it would not be surprising to see the young airmen fly away with a championship. Building a dynasty in college ultimate is tricky. In a team sport where each player can only do so much, a single star is often not enough to deliver much sustained success. Even if you have multiple top-end players, you need them to be spread over multiple graduating classes to avoid one graduation evaporating a program’s talent pool. On top of all the talent, you need a team culture that creates buy-in and an atmosphere that keeps players and recruits coming back year after year. In 2018, the #2 Middlebury Pranksters showed they check all of the boxes required to create a dynasty in the division, with elite talent at every grade level and a team culture that will retain and build this talent for years to come. 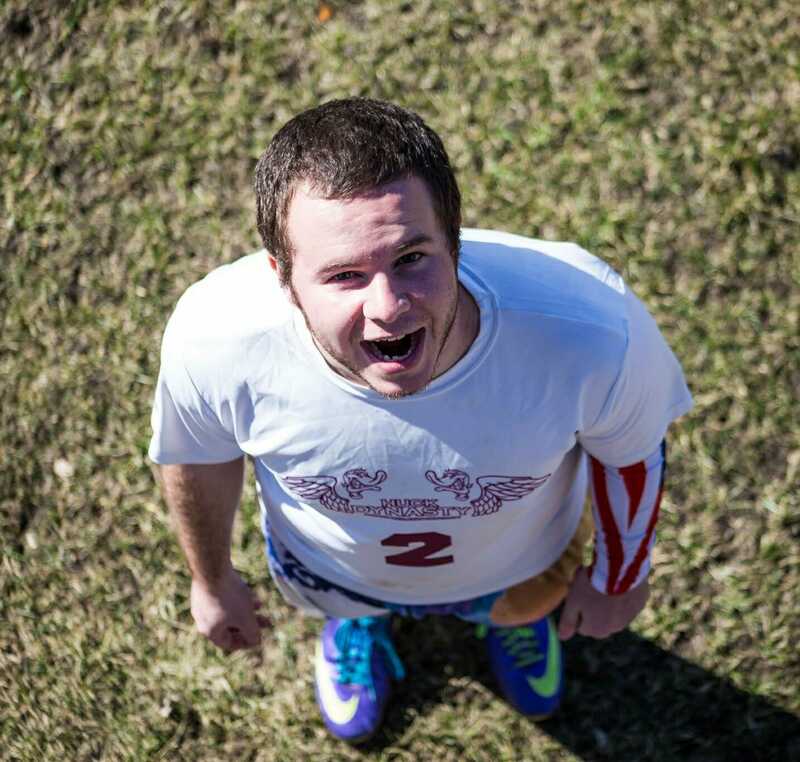 Senior Dylan Salzman is the team’s undisputed leader both on and off the field, anchoring the offense as center handler and providing a calm consistency that trickles down to the rest of the team. Fellow senior Asher Lantz is one of the best deep defenders in the division. Juniors Kai DeLorenzo and Zach Levitt create a formidable cutting duo, with Levitt’s timing and quickness serving as a perfect complement to DeLorenzo’s athleticism and throwing. Sophomore Ian Hanson is possibly the best handler defender in the division and capable of leading the D-line offense after a turnover. To top it all off, the Pranksters welcome freshman Leo Sovell-Fernandez to the team. Fresh off a gold medal-winning performance with Team USA at WJUC this past summer, Sovell-Fernandez gives Middlebury yet another big playmaker for the next four years. The Pranksters fell just shy of a National title last year after coming up short against Air Force in the semifinals. The development of their returners and the addition of some talented rookies will put Middlebury in position to avenge that loss. Even if they come up short this year, the Pranksters should be in contention for years to come. While the North Central was a dominant force in the early years of Division III, an entire generation of players have now known it only as a one-bid region. Last year, the North Central finished just shy of earning a second for the first time since 2015. Surprising Michigan Tech was in range of a bid, missed out on some planned competitive opportunities when Old Capitol Open was cancelled late in the spring, and had to make due with a couple of one-off games to get to the ten-game mark. They ended the regular season 15th in the USAU rankings — unfortunately just outside of the bid window after auto bids were sent out to the Great Lakes and Metro East. With what’s shaping up to be an extremely competitive region this year — Carleton GoP, Michigan Tech, and Luther were all in our preseason Top 25, with St. Olaf already earning their way in since — another one-bid season won’t be enough for all those hungry teams. The biggest problem the region faces is that no matter how strong its teams are, they have to get to tournaments where they can show that strength and earn bids to Nationals. #4 Carleton GoP travels more than many D-I teams and puts themselves in good position to earn a bid, but the rest of the region has historically failed to reciprocate that effort. #16 Luther LUFDA is making the trip to Southerns this spring, but they only have one other tournament, Midwest Throwdown, currently on the schedule; trusting Midwest weather to get you to ten games is a dangerous game to play.1 #10 Michigan Tech Disco Tech is one of the most isolated teams in the country, with travel from the upper peninsula adding hours to any trip they make. Last year they couldn’t find a second tournament to attend and only got to ten games by traveling to Northern Michigan and Michigan State; can they get a second tournament in this year? The fate of the North Central’s bid situation could depend on it. We’ve already seen some marquee D-III matchups early in the season: Carleton GoP and Richmond squared off at Carolina Kickoff, then Williams, Davidson, and Richmond combined for three games against each other at Mid-Atlantic Warmup this past weekend.2 But, for the first time in years, several major D-III focused tournaments will be held, helping to increase connectivity across the nation. Kicking things off in the first weekend in March, FCS D-III Tune Up will be held in North Carolina. It will be immediately followed by D-III Midwestern Invite in Indiana, March 8-10. Other events with multiple ranked D-III contenders are spread throughout the spring (see list below). Each of these tournaments will feature 20 Men’s teams from across the country, producing unprecedented connectivity. Several ranked squads — including Mary Washington, Oberlin, and Missouri S&T — will be attending both, helping to further the connectivity. Between the two tournaments, 15 of Ultiworld’s preseason Top 25 are scheduled to get some intra-division regular season competition. Add in smaller tournaments, like Haverford’s Layout Pigout, College Southerns, and Midwest Throwdown, which always bring in some top-tier D-III teams, and it is set to be a great year. More connectivity means stronger rankings, both for USAU and Ultiworld. With strength in the USAU rankings, we are more likely to see the most deserving teams in attendance at Nationals. This year is set to be the biggest year yet for D-III ultimate across the country. Last May, USA Ultimate made announcement that the College Championships this year would be hosted in Texas, with D-III slated for College Station. Immediately, the ultimate community responded with concerns over how players would deal with the heat, which is typically oppressive in the region at this time of year. Twitter lit up with concerns about player safety, r/ultimate had multiple posts totaling hundreds of comments debating the decision, and older players shared horror stories about past early summer tournaments in the Lone Star state. As of posting, USA Ultimate has been somewhat vague and thin on details for how the potentially dangerous elements would be countered. D-III Nationals is unique from its D-I counterpart in that it takes place over two days rather than four, putting extra strain on the bodies of players already on smaller rosters. There is precedent for USA Ultimate to allow unique formats that avoid the hottest times of the day; one has to imagine that a format change could certainly be implemented to protect the players. Will teams consider Nationals preparation during the regular season? 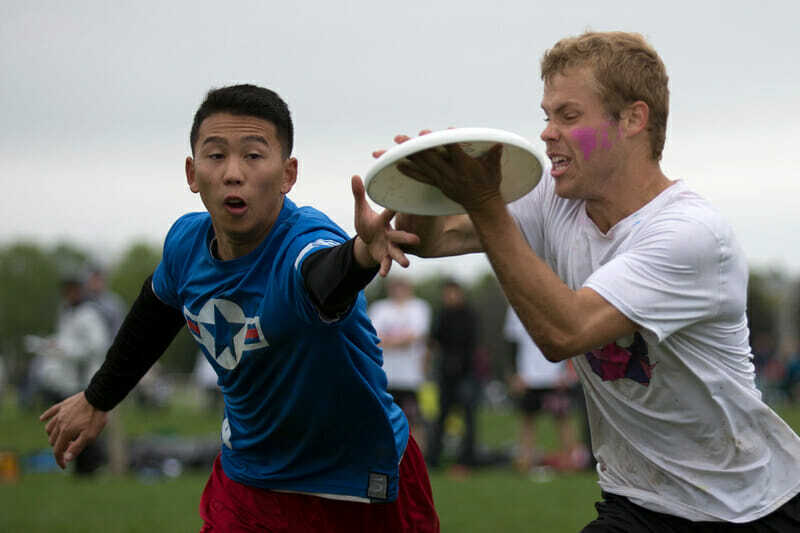 D-III ultimate is known for having a few players carry an entire team deep into a tournament, but in the Texas heat, depth is going to be more important than ever. Teams will have to balance short-term results for bids with the long-term need for roster development once they earn those bids. Is risking your spot at Nationals worth the development to succeed once you qualify? We’ll be watching closely to see how the top teams strike this balance. After several years of chaos in a multi-bid region, a certain friction seems to have returned to the Atlantic Coast this season as #3 Mary Washington Mother of George sits atop what could be one of the weaker regions in the country this year. That’s kind of crazy to say only two seasons after the Atlantic Coast sent three teams to Nationals and two to the final. But here we are, stuck yet again in a region where every team is decent and only one appears to border on excellence. Mary Washington will be looking to cash in on the final season of some top-end talent, while their regional rivals #8 Richmond Spidermonkeys and #20 Davidson DUFF will be competing this year while also keeping an eye on the future. Richmond’s consistency as a program could be cemented for several seasons to come, with the whopping 18 freshmen they’re fielding this season. Most teams would kill to have eighteen seniors in four years, and Richmond is going to have an abundance of riches to work with in the coming seasons. This season, however, they’re still freshmen, and Richmond will need to count on their returners for immediate success. Seniors Chris Selwood and Graydon Cowan form a potent handling duo, and fellow seniors Pat Murray and Evan Steinfield are the motors powering the Spidermonkeys cutting corps. Ben Weinstein, Chris Cassella, Xavier McCormick, and Harris Cannon form an athletic and skilled junior class. Richmond’s depth is impressive, but they will have to contend with a Mary Washington team who brings back one of the best individual stars in the region. Mother of George’s Joe Richards can be the best player on the field when he chooses to be. He has great throws and an aggressive play style that can take over a game. A summer of playing on Washington D.C. Truck Stop under the coaching of Darryl Stanley was big for Richards; his development was noticeable over the course of the club season, and he’ll be on the D-III POTY watchlist in 2019. Getting the disc to Richards will be captains Harper James and Beau De Koninck; the other key cutters for Mary Washington include Landrum Beard and Zack Richardson. Replacing 2018 Donovan Award winner Zach Norrbom will be no small task, but Mary Washington returns plenty of talent to reach Nationals once again. Like Richmond, Davidson has plenty to look forward to in the coming years with one of the best young throwers from the Triangle in their pocket. Picking up Jake Taylor holds a lot of promise, along with three other players with high school experience. According to coach Ken Porter, they’ve also succeeded in bringing better athletes on board. But Davidson’s youth could very much hold them back from the kind of success they’ll be seeking in April. They have six total upperclassmen. In many respects, you could say that Davidson has a lot in common with Richmond, but Richmond’s pedigree, being the strongest team in the region for so long, is a measurable advantage. UNC Asheville and Elon are in fairly similar positions. Asheville still possesses two very experienced and valuable athletes in Jacob Warshauer and Ethan Cole but the team has yet to prove it will be deep enough to beat the best squads in the region. It’s hard to believe that just three season ago the Great Lakes was on top of the D-III world, boasting three bids to Nationals. Now, with all of the region’s star power gone, there seems to be no straightforward answer on who will win the region. #24 North Park Lost Boys perhaps sits in the best spot, having gone to Nationals last year. Despite losing top talent in Drew Swanson and Brad Johnson (along with five other seniors) who did much of the team’s heavy lifting in Rockford last May, the experience of the remaining core is going to be unmatched within the region. With junior captain Nate Werling leading the team, North Park sets their eyes on winning the region again, and assert their dominance atop the Great Lakes. Knox boasts perhaps the best chance at challenging North Park for the Great Lakes crown. After taking down regional favorite Wheaton in the semis last year, Knox ran out of gas, getting blown out in the regional final 15-4. Knox, however, returns many of their players from last year’s squad. This year will be the largest — and deepest — team Knox has had in years. Will their depth be enough come regionals to take home the title? Throughout the rest of the region, things are a bit unknown. After missing regionals last year, Olivet Nazarene boasts a young team, but an established program, solid coaching, and high numbers. Wheaton still holds players with prior Nationals experience, and have developed into a consistently competitive program. Rose-Hulman, for the first time since 2014, qualified for regionals last year, and returns much of their top talent. In perhaps the nation’s weakest region, plenty of outcomes feel possible. The last few years, the D-III Men’s Metro East has joined its D-I brethren in becoming the laughing stock of the division. Not since 2015 has a Metro East team finished the regular season inside of the top sixteen of the USAU rankings, and the last two years, it hasn’t been close.3 To make things worse, the region can’t even blame the algorithm, as their champion has struggled at Nationals the last three years, with only Army in 2017 managing to win a pool play game. This year, however, the region looks to be on the rise. #9 Wesleyan Nietzsch Factor enters the season as the favorites to win the region. The one seed entering Regionals last year, Nietzsch Factor suffered an upset loss in the semifinals and return in 2019 focused on avoiding such mistakes this year. Led by captains Jesse Broad-Cavanagh and Matt Erodici, Wesleyan had a strong fall season and are poised to carry that momentum into the spring. There are multiple challengers nipping on Wesleyan’s heels. The defending region champs #13 RPI Trudge figure to be the strongest threat to Nietzsch Factor’s Nationals aspirations. Trudge turned over a strong portion of their Nationals roster, and with three new junior captains — Devin Malanaphy, Adam Alper, and Alec Krasinski — the team could suffer some growing pains early in the season. However, coach David Ferraro will have the team prepared come Regionals and peaking at the right time. Fresh off a summer of practicing with New York PoNY, Anthony Prato returns for his junior year as probably the best player in the region and capable of leading SUNY-Geneseo Snail to an upset run at Regionals. After a disappointing showing at Conferences in 2018, look for 2017 Metro East champions Army West Point to return to Regionals with their usual athleticism and big play ability. A dark horse contender to keep an eye on is Marist Fox; led by Noah and Oliver Fay, Marist made a surprise run to Regionals last year and are poised for a breakout season. New England is the only region on a yearly basis that wonders not if they will earn strength bids, but rather how many strength bids they will earn. Not only does the region send multiple teams to Nationals every year, but those teams have tremendous success once they get there. Not since 2012 has New England failed to place a team in the semifinals, and the region is home to three of the last six National Champions. This year will be no different for the region; with five teams in our preseason top twenty, New England should expect to land multiple strength bids again in 2019. The favorites in the region are the #2 Middlebury Pranksters. Led by Dylan Salzman and Kai DeLorenzo, the Pranksters have top-end talent, but what sets them apart is their depth. Players like Asher Lantz, Ian Hanson, Connor Levesque, and Josh Sims Speyer would be stars on other teams, but on Middlebury, they make up an overqualified supporting cast. After falling short in the semifinals in 2018, the Pranksters will have their sights set on a championship this season. #6 Bryant Craze is facing a massive rebuild after their National Championship season in 2018. The losses of Alex Kenworthy and Cameron Jack are obviously tough holes to fill, but Craze also graduated key role player Austin Kelson, who anchored their infamous zone defense. Justin Kunkel leads the returners and is in line for a big season with an uptick in his usage on offense. #7 Bowdoin Stoned Clown had their season ended by Bryant in the quarterfinals of Nationals in perhaps their worst loss of the season, but that performance was in no way indicative of Stoned Clown’s quality. Bowdoin returns their two best cutters, captain Conor Belfield and big man Thomas Jones, as well as stalwart handler Tenzin Choezin. Belfield in particular is in line for a tremendous season. He led Stoned Clown in both goals and assists at Nationals, highlighted by a five goal, four assist performance against Whitman. A young supporting cast will develop over the course of the season before the series, but Bowdoin’s regular season success will largely fall on the shoulders of Belfield. Below the three Nationals qualifiers from last year is a loaded field of challengers. #11 Williams WUFO is a deep, athletic team who lost in the game-to-go in 2018. Led by the arm of Kees Knight, WUFO has the talent to knock off any of the top three. If some of their role players develop into stars over the course of the season, Williams will be a nightmare matchup at Regionals. #19 Bates Orange Whip, led by cutter Max Rein, is one of the more inconsistent teams in the region. Last year, Bates picked up wins over Nationals teams Bowdoin, RPI, and Bryant, but also suffered multiple disappointing losses over the course of the season. They will need to find some consistency if they’re to challenge for a bid to Nationals. New England is simply loaded. Teams like Brandeis TRON and Amherst Army of Darkness are just outside of the Top 25 and more than capable of upsetting the five teams above them. New England will unquestionably be the best region in the country once again. The North Central has proven time and time again to be one of the Nation’s deepest regions. Despite getting just one bid last year, #4 Carleton GoP, #10 Michigan Tech, #16 Luther, and #25 St. Olaf all had times throughout the year where they made waves. This year looks no different. With a proven system, star power in cutter Saul Wildavsky, and a winning culture, Carleton GoP is the class of the region. Despite graduating nine seniors from last year’s team, GoP has started off the 2019 season with a bang, already taking down another one of the nation’s top teams, Richmond, at Carolina Kickoff. The biggest question for GoP will be development of their handler core, as they aim to replace Abe Eichner. The development of elite handlers to take on the heavy workload Eichner has carried over the years will be necessary if GoP hopes to fend off a tough field in the North Central. Michigan Tech burst onto the scene last year, thanks in large part to the prominent throwing and creativity of star handler Brendan McCann. McCann showed the ability to make big plays, with a variety of throws that really change the game. A dynamic handler, McCann is one of the toughest players in the country to contain, and when he’s hot, it’s even tougher. Couple him with big man Frank Uganski, and that makes for a lethal combination. It will be on the rest of the roster to fill in and make plays if Michigan Tech hopes to finish the work they did last year and qualify for Nationals. Luther and St. Olaf both find themselves on the outside looking in. Luther boasts star cutter Jonathan Lovagnini, a strong cutter who will be a tough task for anyone to cover. Lovagnini is accompanied by a strong supporting cast, full of players with experience playing at D-I regionals over the past several years. For St. Olaf Berzerkers, U24 tryout Andrew Otterlei is a guy that can change games quickly. St. Olaf has been on the brink of cracking into the nation’s top-tier for several years now, and it seems time that they really make a run. For each of these teams, if their star gets hot, they have a chance to compete for a bid to Nationals. Perhaps the biggest question for the region is weather. Last year, Michigan Tech struggled to get to ten games, and that’s consistently been a storyline throughout the region. If a couple of tournaments get cancelled, there’s a chance that the North Central doesn’t get as many bids as they would like, and come Nationals, some high caliber teams will be left at home. Last year, Whitman made the transition to D-III, and not only rose to the top of the region, but rose to the top nationally, almost immediately. With Whitman returning to compete at the D-I level this year, the region is opened up to a new champion, with several teams lined up to take the crown. The Puget Sound Postmen entered the spring as the favorites to win the region. Despite graduating key players Chris Roach and Lucas Crowley, the Postmen return an experienced roster highlighted by Destin Newfont, Cameron Waugh, and John Leslie. The Postmen are a tall, athletic team, and if their deep game catches fire, they’ll be tough to beat at Regionals. However, an early season loss to regional rivals Lewis & Clark shows that the Postmen have some work to do to return to Nationals in 2019. The main competitor to the Postmen for the top spot in the region is #23 Pacific Lutheran Purple Reign. Purple Reign returns the favorite for Player of the Year in the region in Nathan Adams; the playmaking handler will carry a heavier load after the graduation of Ben Acord and Bryant Stone, but Adams will be more than up to the task. As a program, Pacific Lutheran has been on the rise the last few years, and they’ll have their sights set on breaking through to Nationals in 2019. Despite being a small region, the Northwest always has multiple teams show up at Conferences and make things interesting. Lewis & Clark Bacchus has already shown themselves to be competitive this season with an early win over Puget Sound at Flat Tail Open. Portland Uprise was the second best team in the region last year but suffered a rough Sunday at Conferences that led to missing out on Nationals. While lacking the depth to take a bid to Nationals, Whitworth always has the top-end talent to throw a wrench in things with an upset or two at Conferences. In an isolated region, the Northwest has consistently lacked connectivity to the rest of the D-III competition around the country. This year, things should be different, with Puget Sound, Pacific Lutheran, and Portland all traveling to compete at D-III Midwestern Invite. With a good showing that weekend, the Northwest will have the opportunity to steal a bid (or two) and prove themselves as a Nationally relevant region. Over the past handful of years, the Ohio Valley has developed a reputation for being a competitive region that just can’t manage to earn a strength bid. After earning two strength bids in 2014, the Ohio Valley has since failed to earn anything beyond their annual auto bid. Once again, the region has one elite team and a handful of competitors who will be hoping to earn an extra bid to Nationals. The #5 Oberlin Flying Horsecows are the defending regional champions and the favorites to once again represent the region at Nationals. Despite losing Toby Harvey and Lucien Fitzpatrick to graduation and Talon Johnson to transfer (now playing for Brown), the Flying Horsecows return an impressive amount of talent. Last season’s national Freshman of the Year Noah Zobel and junior Julian Bregstone form one of the strongest cutter duos in the division; seniors Jacob Arons and Noam Fisherman are an experienced and reliable pair of handlers. The Flying Horsecows are an athletic team who play some of the best defense in the division, and they’re only getting more athletic with big time pickups like Jordan Armstrong. Oberlin will likely have some early season rough patches on offense as they smooth over replacing Harvey, but once their offense is clicking, the Flying Horsecows will be tough for any team to beat. The primary contenders to earn another bid for the region are #17 Haverford Big Donkey and #18 Xavier B.L.O.B. After losing in the game-to-go last season, Haverford are facing a season of development to replace the eight seniors from last year’s team. That being said, Big Donkey returns plenty of talent and has a history of reloading rather than rebuilding. Senior captain Jordan Acker returns as the favorite to win Ohio Valley POTY and, alongside fellow senior captains Gabe Halperin-Goldstein and Michael Weber, should have Haverford right back in contention in the bracket of regionals. While Haverford have a tradition of being relevant on Sunday of Regionals, Xavier is a newly established contender in the region. After missing regionals all together in 2015 and losing in quarterfinals in both 2016 and 2017, B.L.O.B. went undefeated in pool play in 2018 and made it to semifinals for the first time. Led by seniors Sam Settlemyre and Eric Coglianese, Xavier will be hoping to take another step forward and play in (at least) a game-to-go this season. Even beyond the top three, the Ohio Valley has a multitude of teams capable of strong seasons and shaking things up at regionals. Shippensburg, Franciscan, Cedarville, and Messiah are all programs with proven track records who should be in the quarterfinals at regionals. While once again it looks unlikely that the Ohio Valley will land any strength bids in 2019, the region is shaping up to be as exciting as ever. Last year, #15 Missouri S&T Miner Threat jumped onto the map, surprising everyone, and taking the regional crown over powerhouse Air Force, before faltering at the D-III College Championships, going just 1-4. Air Force is the obvious favorite of the South Central going into the season. High-end talent in Alan Villanueva (U24 Mixed National Team), Noa Chun Moy (Inception), and Matt Moshea (D-III nationals goal leader) are the reason Air Force is ranked number one in the country. They will have a target on their back all year. The question for Air Force goes beyond regionals, and sits at, “Is this finally the year Air Force wins?” With so much talent on this team, it seems that they are ready to compete at the highest level. #12 John Brown Ironfist has continually proven themselves as a Top 25 team in the country. Despite having just ten players on the roster last year, John Brown trudged their way through the weekend in Rockford, and qualified for Prequarters, where they gave Bowdoin one of the most intense games of the weekend, before falling. After graduating their two top players in Ethan Bolthouse and Grant Bruner, it will be up to the remaining eight players to both recruit and fill the shoes. Running on ten players simply isn’t sustainable with Nationals set for Texas this year. Missouri S&T was the surprise upstart last year. This year, they’re entering the season as a Top 25 team, and with good reason. Despite their lackluster performance at Nationals last year, S&T seems suited to return to Nationals again. With 19 returning players, including their leading goal scorers Will Imming and Mitchell Zimmerman, S&T will have one of the most experienced rosters not only in the region, but in the country. It will be up to them to turn that experience into results. Throughout the rest of the region, Colorado School of Mines seems to be a team that always notches an upset at Regionals, but never finishes off the tournament. Rice is a storied program with the ability to score some upsets. Colorado College has proven themselves as a perennial powerhouse, but fell off the map at regionals last year after they were derailed by injuries. Will anyone be able to break through the ceiling and upset one of the three powerhouses? The Southeast has always been Georgia College’s territory, but the region has been getting steadily more competitive over the years. It was only two seasons ago that Alabama Huntsville overtook #14 Georgia College Disconnected and made it all the way to the semifinals of Nationals, and that came only a year after Disco won their first national championship. The questions swirling around the region this year are who is left in the wake of Nathan Vickroy’s departure to pick up the mantle of one of the best individual players in the country and whether there’s another team out there ready to unseat Disco. This year it looked like it could be an up-and-coming #22 Florida Tech FIT squad, the team that faced Disco and fell 12-11 in the semifinals of Regionals last year. Florida Tech’s advantages lie with their experienced top end, with one fifth year in Bobby Rogulski and five seniors, all of whom have been with the program since its leaner days. Junior BJ Barrett probably brings the most high-profile experience back to the team this year with a season playing for the Tampa Bay Cannons. FIT prides itself on its athleticism and with a strong crop of rookies, Florida Tech is banking hard on a Nationals appearance this year. Unfortunately, they’ll need to rebound from a rough start to their spring after taking multiple losses at an underwhelming Royal Crown Classic this past weekend. The player who could certainly hold the lid down on any Southeast squad this season is Georgia College’s Jacques Perivier, who has continued to develop on the Atlanta Hustle and Chain Lightning. While Perivier lacks Vickroy’s size, he’s an excellent thrower in his own right and could certainly bring Disco back to Nationals alongside Alec Powers and Rylan Gordon. Outside of the top two squads, it’s hard to know who can contend for a bid. Samford will be missing Carter Rae on the field but he will be coaching the squad this year. Union has always contended hard to get into the national conversation but they have a lot to prove this season against the stronger teams down south. With only four competing teams, the Southwest is the smallest region in the division. Despite such a small field, the region tends to provide interesting games every year, and the rivalry between #21 Occidental Detox and the Claremont Braineaters is one of the most fascinating in the country. While the bottom two teams continue to develop, this season should once again come down to a battle between Occidental and Claremont. The most notable story around Occidental and Claremont is how they plan on replacing their superstars from a year ago. Detox was led by the prolific talents of Adam Grammer in 2018; the do-it-all handler put up some of the most prolific stats at Nationals, and Occidental has a daunting task ahead of him replacing his production. While there is no like-for-like replacement on the team for Grammer, Detox returns 17 players from their Nationals roster, and they’ll be counting on their depth rather than one star this season. Claremont will be faced with replacing the impressive Hill Balliet, who is now playing a fifth year for Southern California. Charlie Capron, Gerard Bentley, and Jeremy Snyder will be the leaders for the Braineaters this season as they seek to return to Nationals after losing out to Occidental the last two years. The other two teams in the region, Caltech and Biola, are quite a ways off from competing for a spot at Nationals. However, both programs are seeing tremendous growth and will look to build off their 2018 seasons to see even more success in 2019. On a team full of stars, Alan Villanueva has been in the fray for Player of the Year for the past three years. Ever the highly touted player, Villanueva picked up loads of experience over the summer playing with Denver’s Johnny Bravo and qualified for the U24 mixed team. The experience of playing on a Club Nationals team like Johnny Bravo is unmatched throughout much of the division and will go a long way in the development of Villanueva this season. Villanueva has lanky athleticism, explosive speed, and unique array of throws that make him a dangerous threat in every phase of the game. 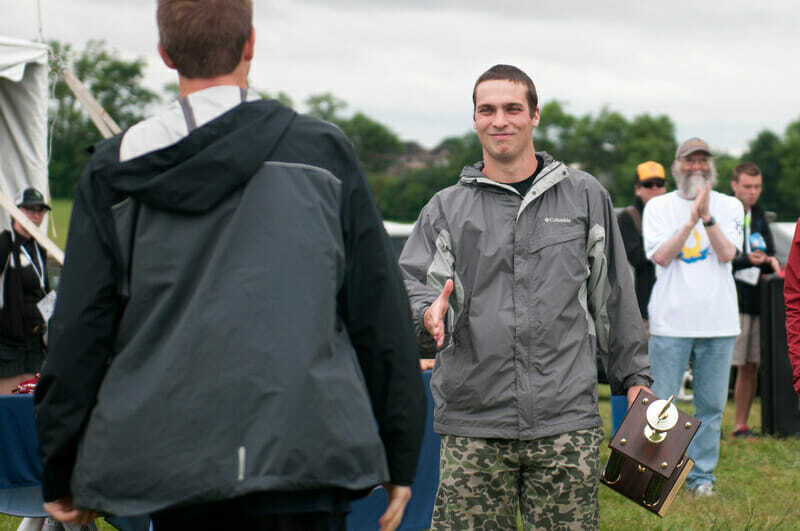 The two-time first runner-up for Player of the Year, Villanueva has been kept from winning the award in years past because of his propensity to be a bit reckless with the disc at times. If he can dial back some of the turnovers and lead with consistency, Villanueva will be the favorite to finally win the award in 2019. Brendan McCann helped Michigan Tech burst onto the scene last year. As an elite handler, McCann changes the game in dynamic ways that not many players in the country can match. A powerful mixture of big hucks, short throw-and-goes, and over the top scoobers and hammers makes him a defense’s worst nightmare. After adding a club season with Ann Arbor Four and competing with the Detroit Mechanix, as well as picking up a spot as a U24 tryout, McCann is likely to return to the 2019 season better than ever. If Michigan Tech hopes to score the upset on Carleton GoP and claim the North Central region, they will be heavily reliant upon the throwing prowess of McCann. If anyone can match the experience of Villanueva, it’s Middlebury’s Dylan Salzman. Similarly, Salzman picked up experience playing on Denver’s Johnny Bravo, and qualified for the U24 Men’s team. That’s where the similarities between Salzman and Villanueva end. While Salzman lacks the explosive athleticism of others on this list, he makes up for it with ruthless efficiency with his movement and precision with his throws. Salzman is the consummate center handler, able to put the disc to all spaces of the field and take the top off the defense with hucks when necessary. While capable of the big play, it’s Salzman’s elite consistency that makes him a contender for Player of the Year. Last year, Joe Richards lived in the shadow of 2018 Donovan winner Zach Norrbom. After a summer of refining his game with Washington D.C. Truck Stop, Richards is primed to step into the spotlight for his fifth year as the driving force behind Mary Washington’s success this season. Richards’ athletic abilities are obvious; he’s one of the best deeps in the division and there aren’t many players who can outjump him. What makes Richards so particularly dangerous is his ability to gain big unders against defenders who are scared of him going deep, and Richards is good enough as a thrower to be a threat with the disc after catching those unders. The one knock against Richards is that he tends to check out during stretches of games. If he steps up to fill Norrbom’s role as a leader on Mary Washington and stays engaged at all times, Richards has the skill and athleticism to win Player of the Year. GoP’s offensive line has already benefited greatly from Wildavsky’s contributions this season and he has a very realistic shot at an offensive player of the year nod if he continues to shine throughout the season. Wildavsky’s great stride and athleticism give Carleton GoP the exact kind of star they need to initiate downfield in their pull plays. Force Wildavsky to the backfield and he can easily uncork a flick to the endzone. With Noah Robbiner taking over Abe Eichner’s center handler role on the team, Wildavsky can focus his attention on getting open downfield and shining in his role as GoP’s primary receiver. The players you might not know yet, but who could be defining players of the 2019 college landscape. Below is an initial list of tournaments featuring strong contingents of the D-III men’s division in (expected) attendance. If your team has their 2018 tournament schedule set, please email it to mball@ultiworld.com to help build our comprehensive list for tournament coverage. Thanks! Comments on "D-III College Men’s 2019 Season Primer"